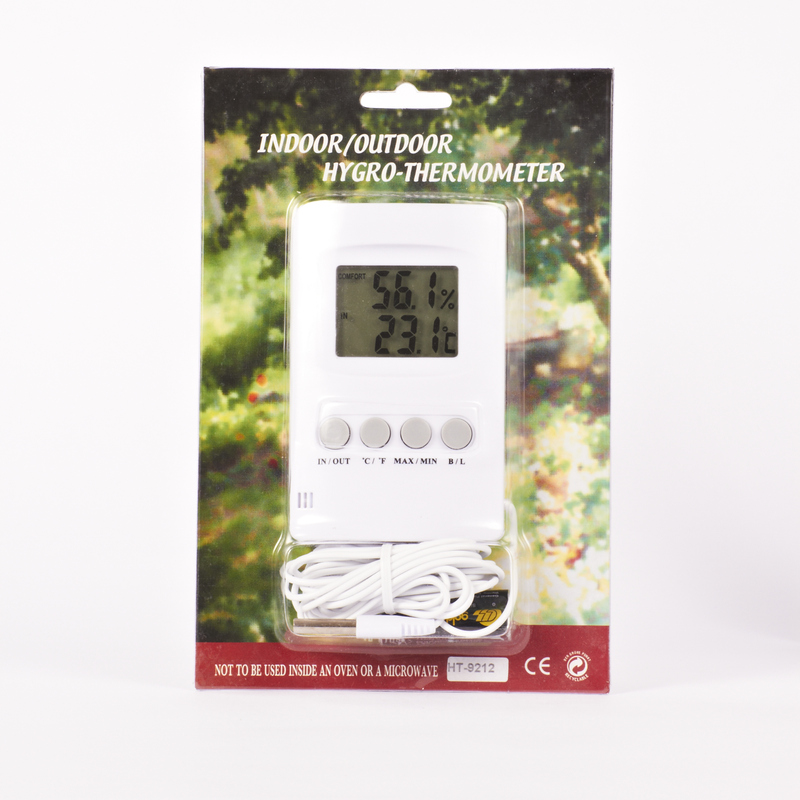 The Dual Display Hygrometer / Thermometer measures both temperature and humidity, displaying them both simultaneously. 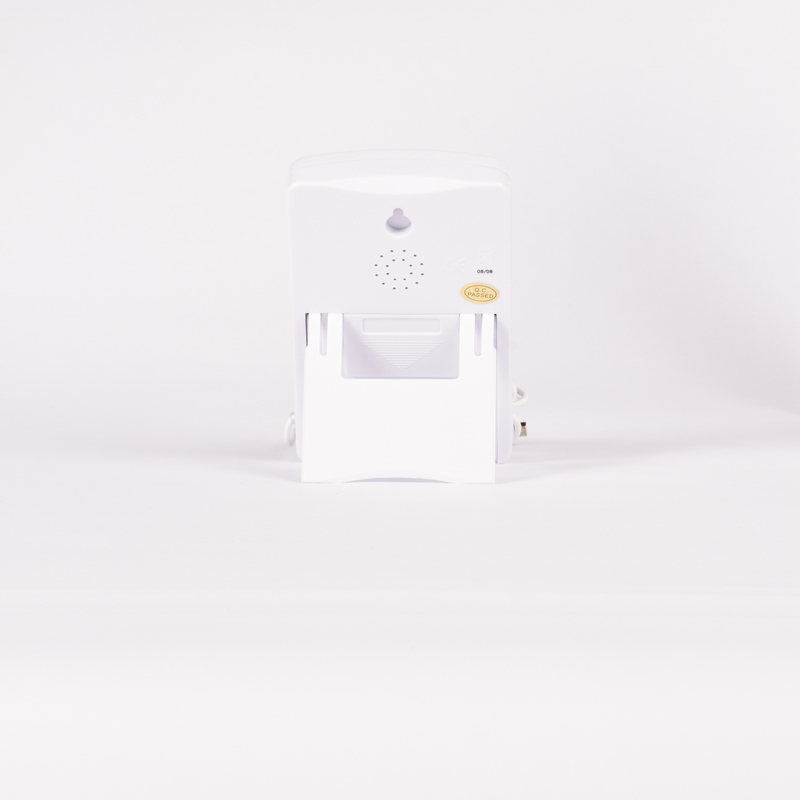 The 3 meter cable allows the operator to measure and out temperature whilst the unit measures the in temperature. These two temperatures are measured completely separate from each other. 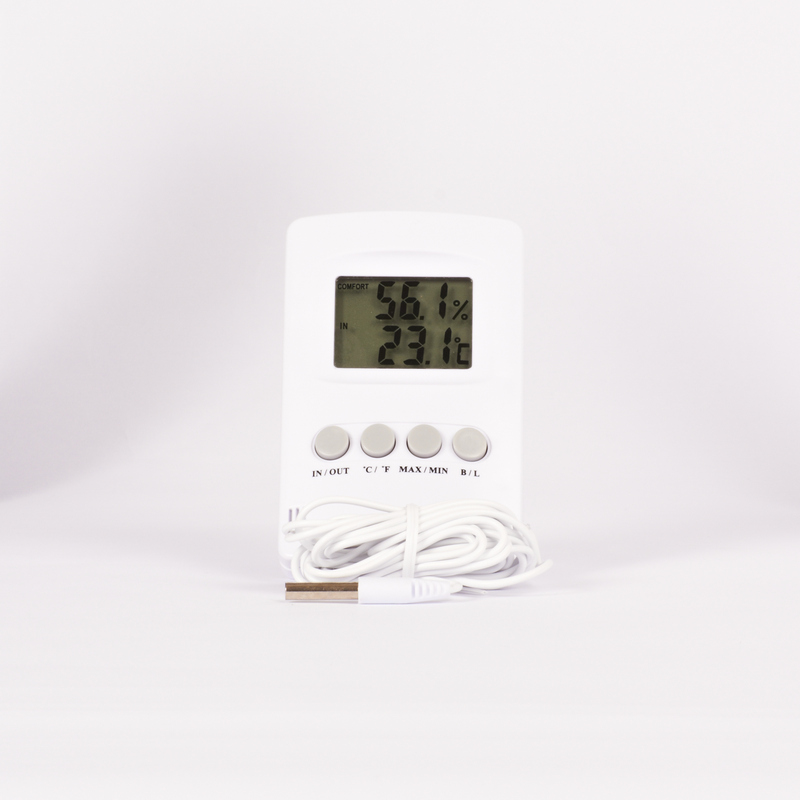 To switch between the two measured temperatures use the in/out button to display the desired temperature. Reset Button: Press the Max/Min and B/L buttons at the same time; do not hold just press buttons at same time until unit switches off. Repeat this once again and the unit will turn on reset. 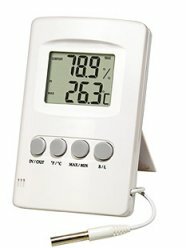 Bought these 2 same thermometers for measuring temperature and humidity in 1 x 200 sq ft room. When I unpacked them and went to install the batteries, 1 battery out of each pack was corroded, so replaced with new. While both thermometers were waiting to be installed and were on my desk, the temperature on both varied by 6 - 7%, despite being next to each other, and continued to range up and down wildly. These thermometers are NOT FIT FOR USE. Will be returning them for a full refund.